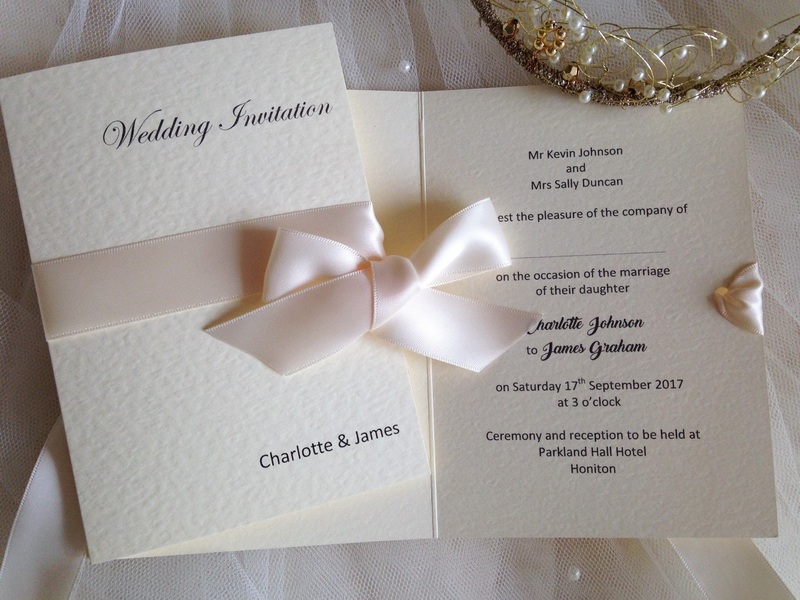 Wrap Ribbon Wedding Invitations are a luxurious personalised wedding invitation with the bride and grooms names on the front! Supplied on a thick heavy weight (270 gsm) hammered card and they are available in either white or ivory. 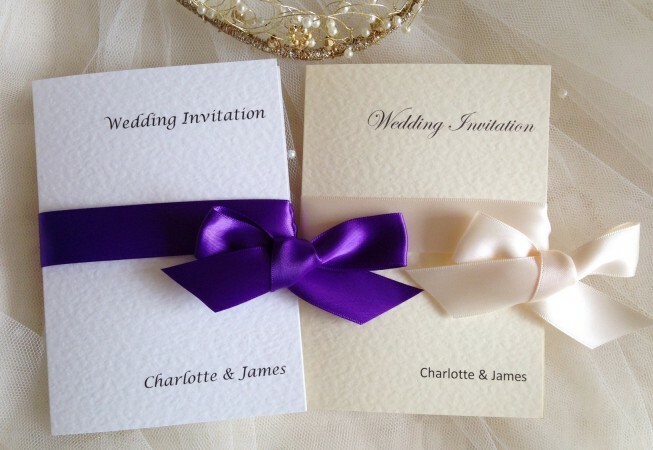 There is a good selection of font styles and ribbon colours in both satin and organza, to choose from. 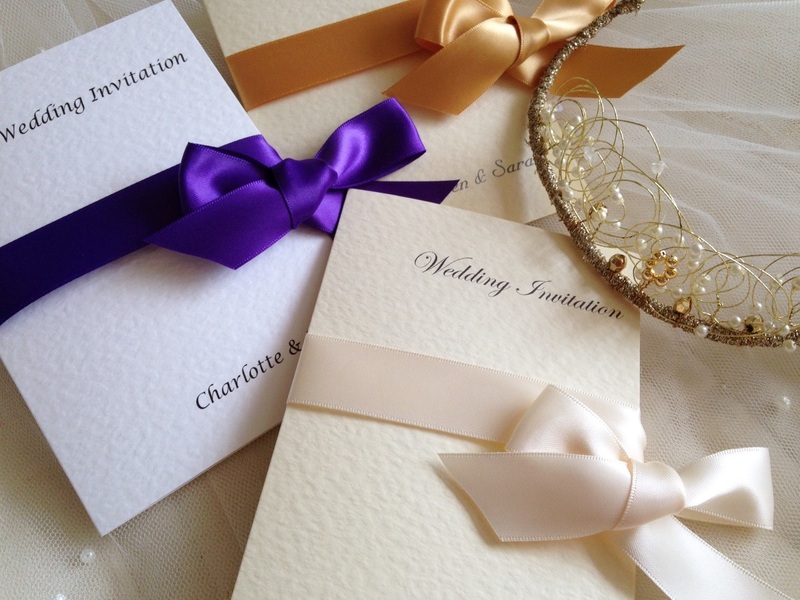 We can print your wedding invitation text in any colour to match a colour scheme. 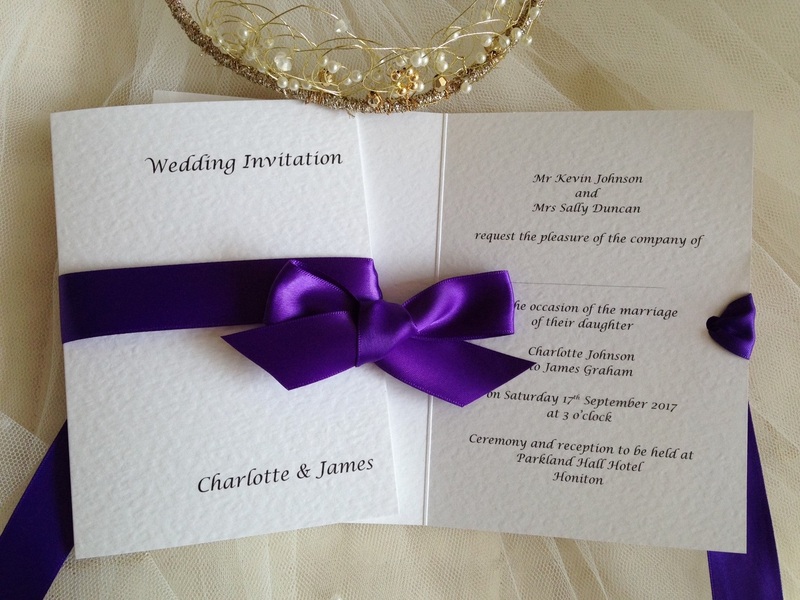 This wedding invitation is supplied with the ribbons already attached for you to tie.